Funerals are always trying times, no matter what your relationship is to the deceased and their family. Knowing what to say can be awkward and uncomfortable. Sending the appropriate expression in a floral tribute can be confusing as well, but there are some guidelines to help you know how to choose accordingly. 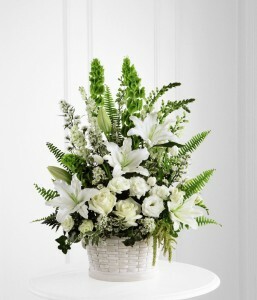 Floral arrangements sent to the funeral home are referred to as funeral flowers. This is a long standing tradition in many cultures and is a way to not only pay tribute to the deceased, but also as a way to add a more uplifting mood to the sombre circumstances and serve as a celebration of their life. There are many choices available when it comes to funeral flower arrangements. You can choose to send something that will be later moved to the gravesite and left there, or you can select something that you would like for the family members to take home with them after the service. 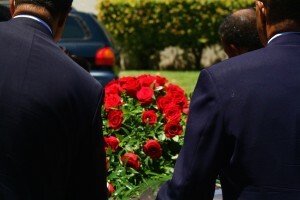 Funeral flower arrangements are typically large and more formal in nature. Free standing arrangements that are displayed on easels are always good selections since they can easily be moved if needed to make more space. These arrangements often include sprays, wreaths, and flowers in the shapes of hearts and crosses. You can also choose basket arrangements that are made up of fresh flowers, house-plants or a combination of the two. These are most often taken home by family members after the service. If you do not have a close relationship with the deceased and their family, make sure you are aware of any religious affiliations and choose your funeral flowers accordingly. 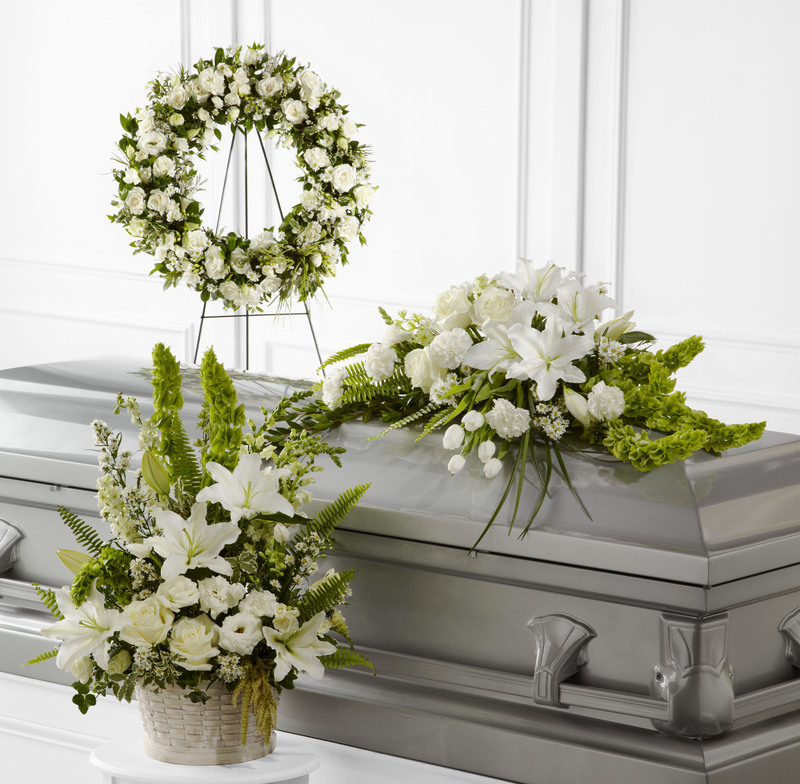 You may have not even been acquainted with the deceased, only a member of their family so it’s important to get certain details before you choose flowers. For instance, those of the Eastern Orthodox faith place a high value on white flowers for funerals. Jewish and Islamic faiths do not typically have flowers sent to their funerals, nor do Hindus, although for them it is not an affront. Your florist should be able to guide you as to how to handle various religious customs. Do not choose casket sprays, as these are usually chosen by the closest family members. If you were particularly close with the deceased you may, however, choose to have your arrangement reflect the nature of your relationship. For example, you may choose types of flowers or colours you know they were particularly fond of. The difference between funeral flower arrangements and sympathy flowers is that the latter is sent directly to the family member’s home. They are typically smaller arrangements than what you would send to the funeral home and are more suitable for displaying in the home. 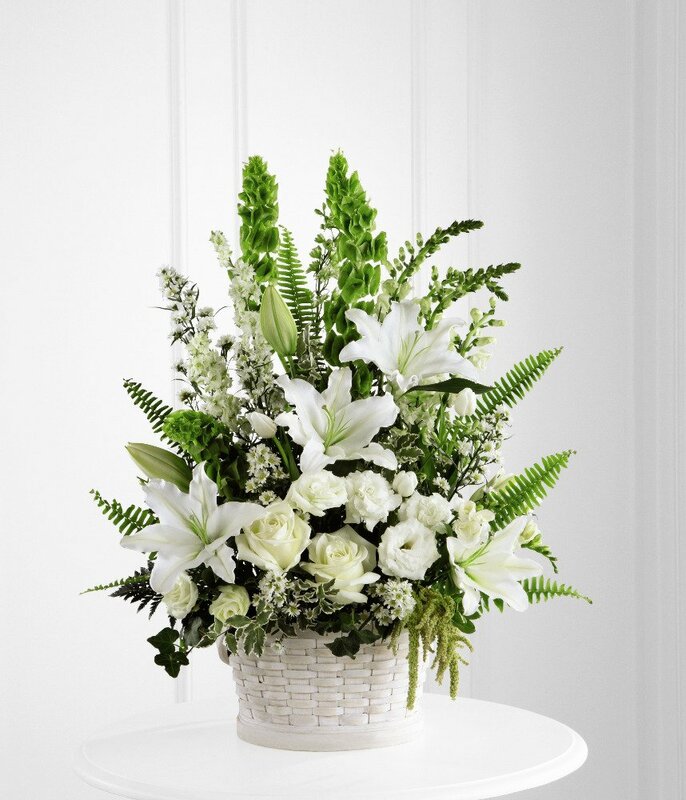 Often baskets containing green plants are chosen so family members can have a lasting remembrance of their loved one. 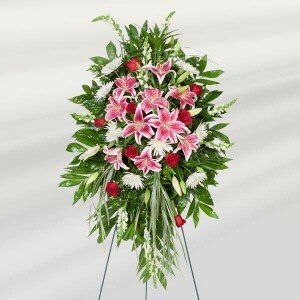 You may even choose to send sympathy flowers days after the actual funeral service. This can be a nice way to remind the family that you’re thinking of them after the initial attention has lessened. Since you might not have been acquainted with the deceased, only someone in their family, this can be an appropriate way to send your condolences. If you are a co-worker of someone who has lost a loved one, it is acceptable to send flowers to the office. In general, it is acceptable to send any colours of flowers for most funerals. Some prefer to keep things upbeat by sending bouquets or arrangements of brightly coloured flowers or colours that they know the deceased was fond of. Others choose more subdued colours, like all white flowers, as a way to express their respect. Blue flowers, representing calm and comfort, also make a good colour choice and a combination of both blue and white makes an attractive and appropriate arrangement. It is common practice by many to request that donations be made to a charity instead of sending flowers. Is it still appropriate to send flowers in that instance? It is still perfectly acceptable to send flowers to either the funeral home or to the family member’s home in that case. You may, however, also choose to make the donation as well. Because sending flowers is such a long standing tradition, it is often difficult for people to not send them as a token of their sympathy. Choosing the right words is always difficult when faced with the death of a loved one or an acquaintance. You want to be sure you address the decease d’s family with respect and sincerity, no matter what your relationship was. When you order your flowers from a florist over the phone or on-line, they have standard cards that are included with the delivery. They typically will say “with deepest sympathy” and they will sign your name. 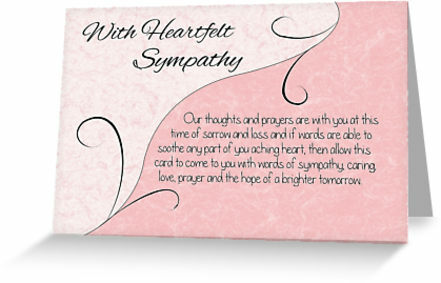 Should you choose to offer a lengthier expression of your sympathy, you can also purchase a sympathy card and send it to their home. 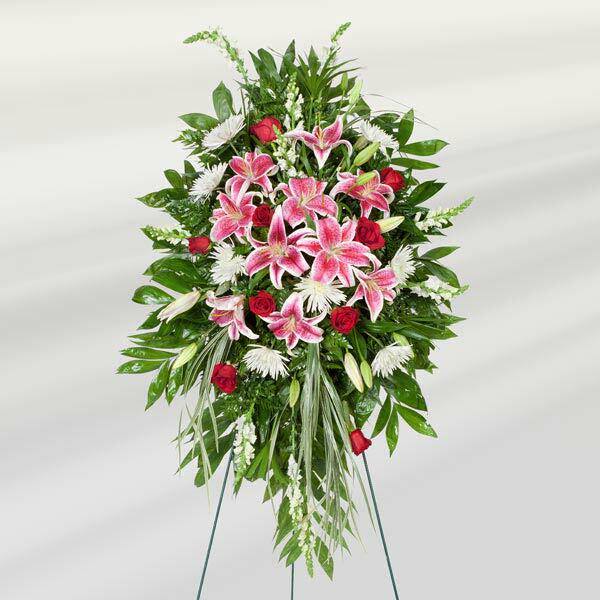 If you’re sending floral tributes from a group you can either instruct your florist to list all the names or just the group, for instance a company name. Just make sure you give the correct spellings for everyone’s name and that you don’t leave anyone off the list. If you’re ordering from out of town, your local florist should be able to get the proper information such as location and time of service to make sure your delivery arrives ahead of the funeral service. They may even handling orders from others for the same service and can make sure that your order is not a duplicate design. If the funeral is in Australia, there are more information available at funerals.florist. They have years of experience serving most Australian metropolitan cities with great funeral flower arrangements. Florists are generally well versed in local customs and specific customs related to different religions and their funeral services. They should be able to guide you accordingly if you give them the basic details and help you select flower arrangements that will be appropriate. Your florist should be able to handle your request with the dignity and respect it deserves and make sure every effort is made to honour your wishes.